Baseball-Farm-System provided us the fabled "Gas House Gang" of the St. Louis Cardinals under the brilliant leadership of Mr. Sam Breadon and astute management ability of Mr. Branch Rickey. Read the story of Mr. Sam Breadon so beautifully told in this article "Cardinal rule" written by Craig Muder the director of communications at the National Baseball Hall of Fame and Museum. 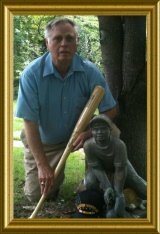 Mr Breadon is currently one of ten finalists nominated for selection into The Baseball Hall of Fame. Voting committee will vote December 2010. COOPERSTOWN, N.Y. – Sam Breadon made his early mark as a pioneer in the automobile industry. His lasting legacy, however, remains the success of the St Louis Cardinals and the genius of beginning of the Baseball-Farm-System. Sam Breadon is one of twenty finalists for election to the Hall of Fame Class of 2010 by the Veterans Committee. (National Baseball Hall of Fame Library) Breadon, who owned the St. Louis Cardinals for three decades between 1917 and 1947, is one of 10 finalists on this year’s Veterans Committee executives/pioneers ballot at the National Baseball Hall of Fame and Museum. The Veterans Committee will vote on Dec. 6 at baseball’s Winter Meetings in Indianapolis, and the results of the vote will be announced Dec. 7. The results of the Veterans Committee election for managers/umpires will also be announced on Dec. 7. The 10 candidates on the executives/pioneers ballot are: Gene Autry, John Fetzer, Bob Howsam, Ewing Kauffman, John McHale, Marvin Miller, Gabe Paul, Jacob Ruppert, Bill White and Breadon. Any candidate who receives at least 75 percent of all ballots cast will be enshrined in the Hall of Fame as part of the Class of 2010. Born July 26, 1876, in New York City, Breadon moved from Manhattan to St. Louis just after the turn of the century and worked at the city’s 1904 World’s Fair selling popcorn. From there, Breadon identified the fledgling automobile industry as a target – and quickly became a millionaire as the owner of Pierce-Arrow automobile dealerships. In 1917, Breadon bought an interest in the Cardinals for $200. Three years later, Breadon had purchased control of the struggling franchise – which hadn’t finished above third place in the National League in more than 25 years. By 1926, Breadon – who installed future Hall of Famer Branch Rickey as the team’s general manager in 1925 – had led the Cardinals to a World Series victory over the Yankees. Breadon and Rickey created a baseball farm system, stocking the Cardinals’ own minor league clubs with prospects. Another future Hall of Famer, Rogers Hornsby, managed the Cardinals in 1926 and had hit better than .400 three times during the previous four years. But Breadon and Rickey traded Hornsby to the Giants before the 1927 season, receiving in return future Hall of Famer Frankie Frisch. During the next 11 seasons, Frisch helped the Cardinals win four NL pennants and two World Series titles sending them on their way to Baseballs Top 10 titles of world series baseball winners. “I realized that it’s the ballclub that counts, not the individual,” Breadon said. “And I never again was afraid to trade a player. "I Knew It, I Knew It, I Knew It, And Mr. Breadon Knew It! It Is The Team That Wins It Is Not A Particular Player." "Baseballfarming And The Baseball-Farm-System Is The Go Juice And Pig Tail Caboose Pushing The Little Red Train Which Thought It Could!!" By the late 1930s, Frisch and the rest of the legendary "Gas House Gang" had passed their prime, leading Breadon and Rickey to restock the Cardinals from their farm system. Breadon brought future Hall of Fame manager Billy Southworth on board in 1940, and with homegrown stars like Walker Cooper, Marty Marion and Murry Dickson – along with future Hall of Famers Enos Slaughter and Stan Musial – leading the way, the Cardinals won four more NL pennants and three more Baseball World Series titles between 1942 and 1946. In all, the Cardinals won nine pennants and six World Series from the time Breadon took over in 1920 until he sold the club in November of 1947. The Cardinals’ record during that time was 2,470-1,830 (.574). Breadon died on May 8, 1949, at the age of 72. Craig Muder is the director of communications at the National Baseball Hall of Fame and Museum. Hopefully Baseballfarming.com will gain a spot somewhere someday in the baseball lingo lore at the Museum for talking about the baseball-farm-system which is held together by the baseball reserve clause thus ensuring baseball is enjoyed non-stop by minor leagues and National teams around the globe. Our thanks to Mr. Muder bringing Mr. Breadons genesis of the baseball-farm-system forward for all of us at Baseballfarming to know and talk about. Baseballfarming is an increasing popular lingo common usage among baseball-farm-system players and fans around the globe. 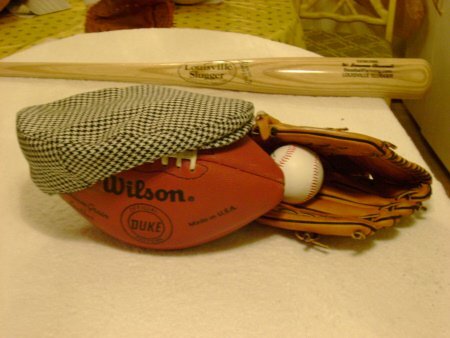 Baseball International found World Baseball Classic a most intriquingand supportive baseball lingo term to initiate the probable foreseen and soon forthcoming Baseball International Series. Your baseball-farm-system via baseballfarming brings easy shopping to you online with the magic of the internet. Go Shopping Online Shop Here With Baseballfarming For Convenience And Savings.